In the first decade of its activity, the company did not label its products. 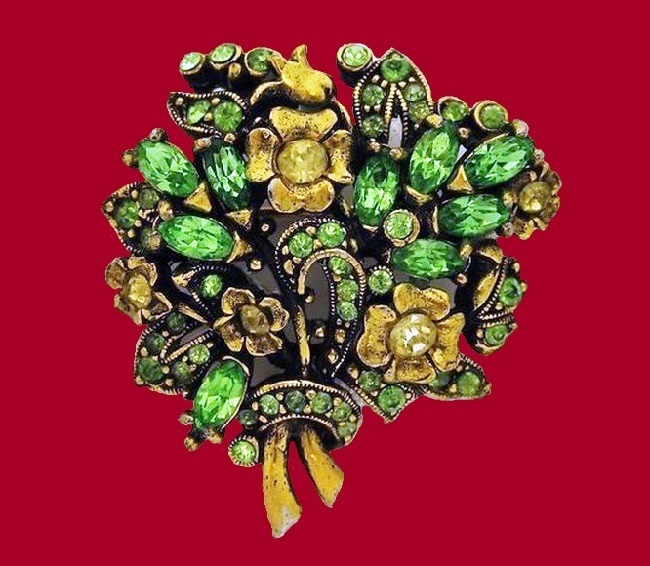 Approximately since 1948, a paper tag in the form of a coat of arms the name of the company was attached to the ornaments. 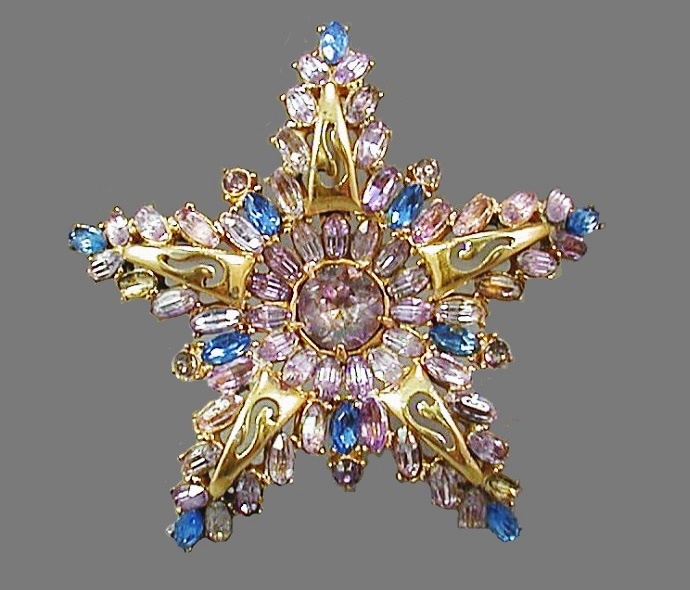 In the early 50’s, the company began to label their products with Hollycraft mark and the year of creation. 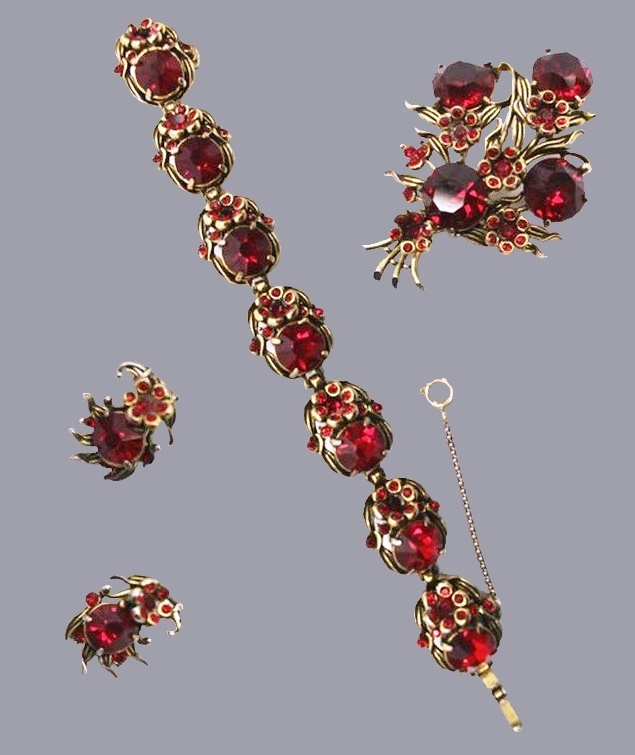 Besides, since 1955, with the entry into force of the copyright law, most of the products are also marked with a copyright badge, which makes the task of determining the age of jewelry a little easier. 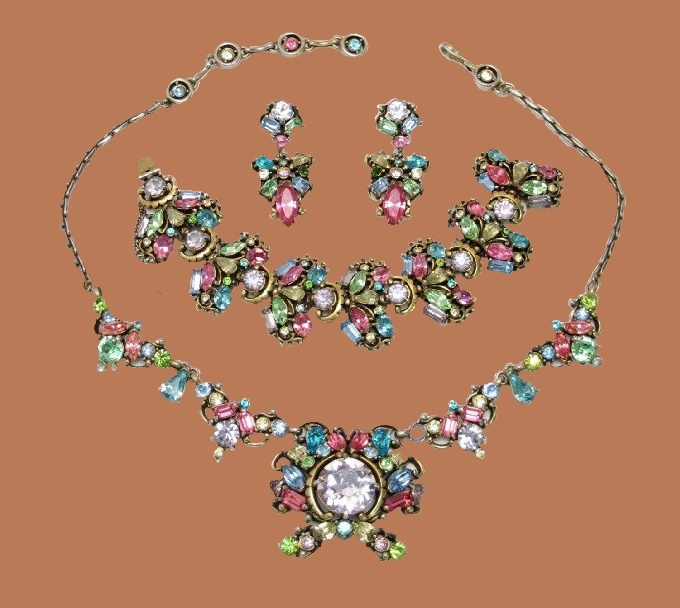 In the late 60-ies the popularity of Hollycraft jewellery is gradually decreasing, and in 1972 the company stopped making jewelry. 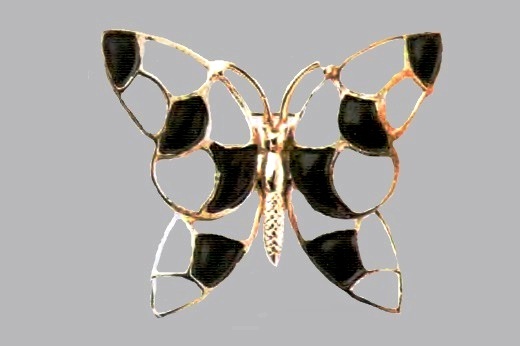 However, the founder of the company until 1980 continued to develop jewelry design for other companies. 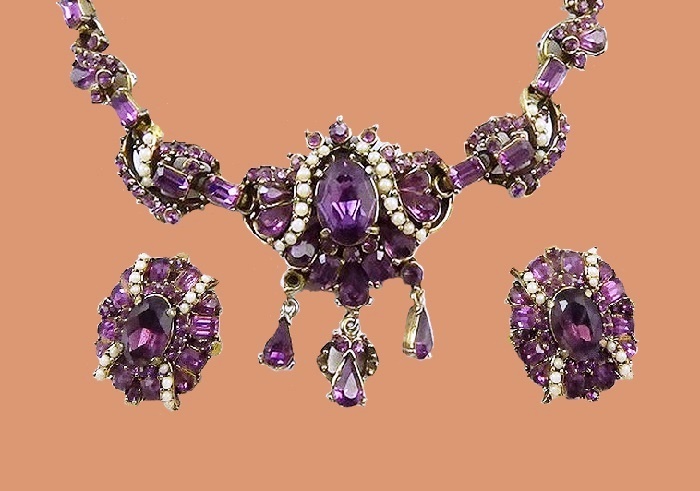 At the same time, he produced his bijouterie under a different name. 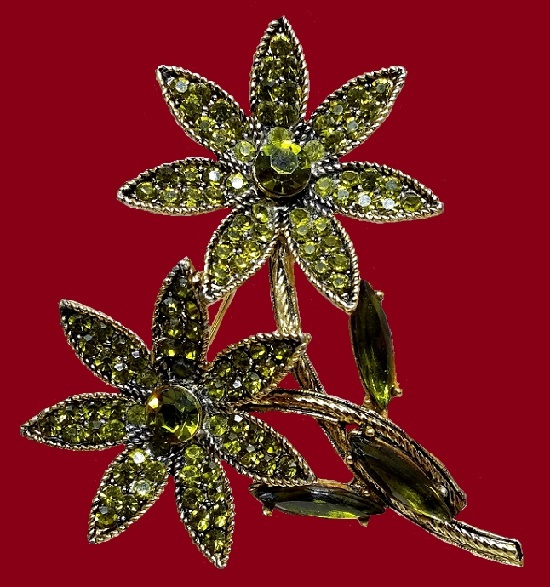 Nowadays, Hollycraft jewelry collectors and designers working in vintage style value exquisite ornaments of the famous company. 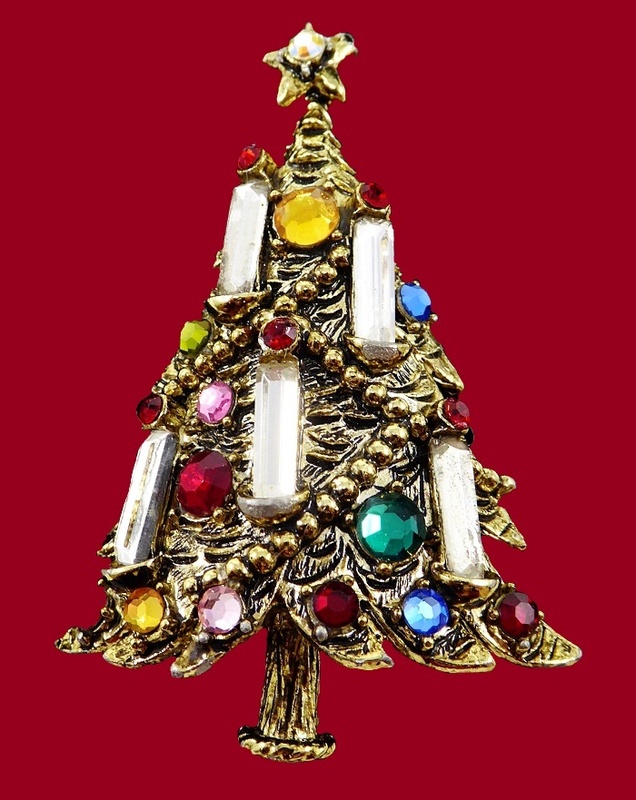 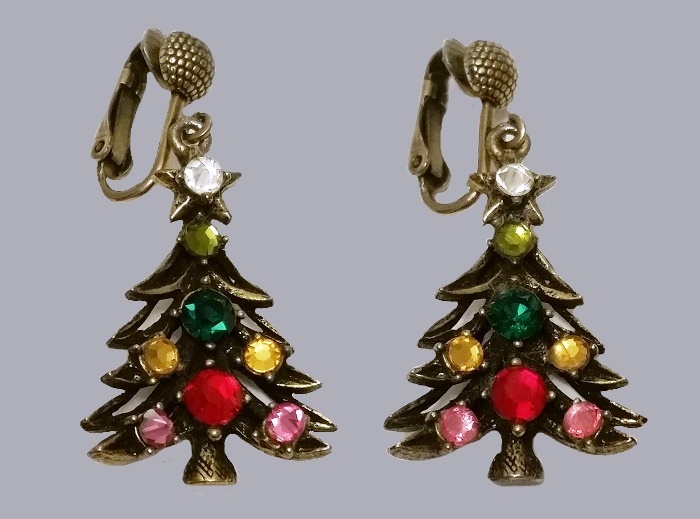 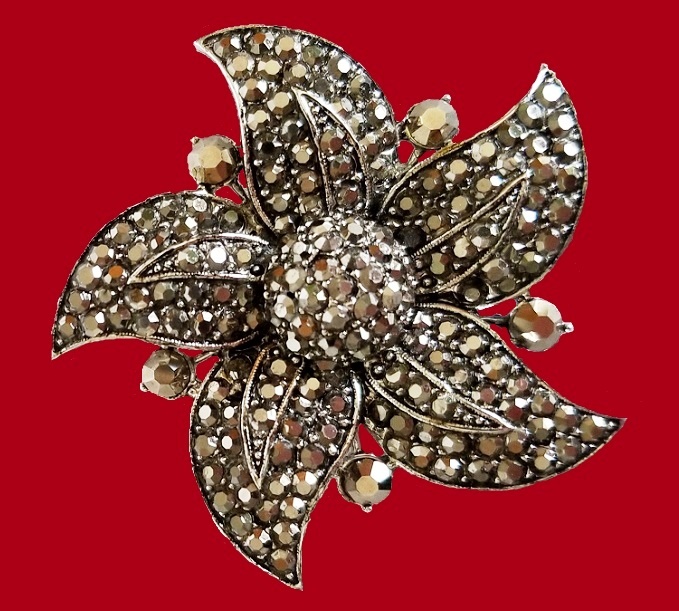 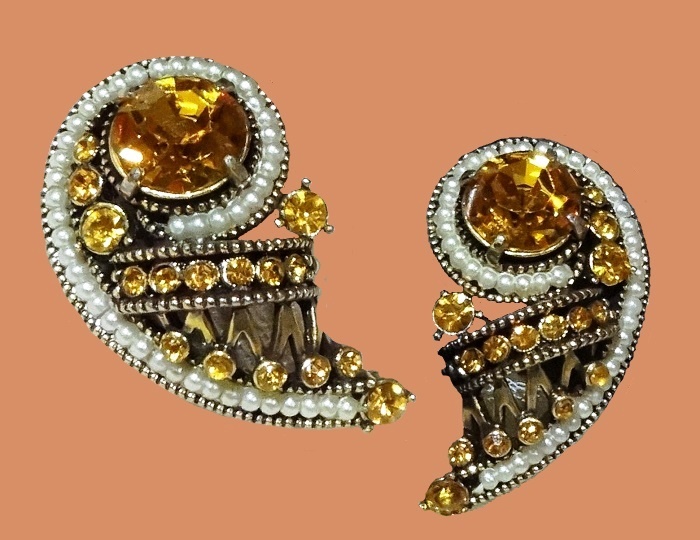 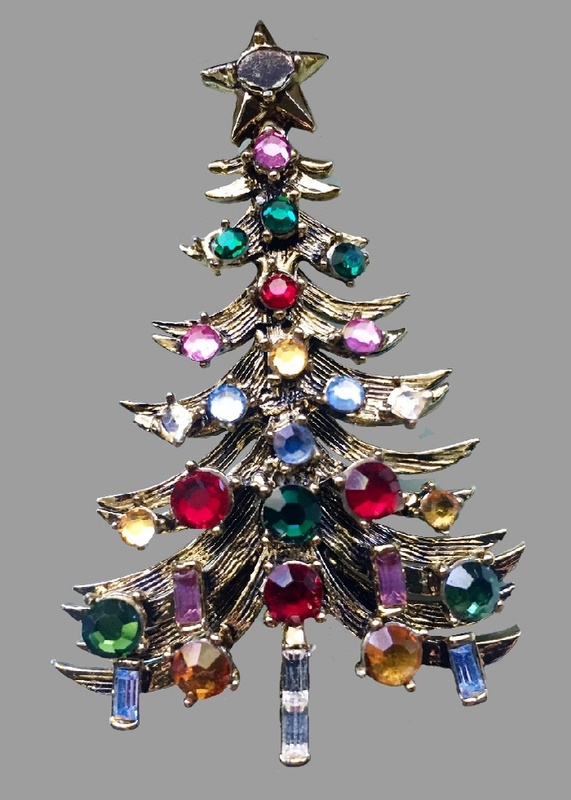 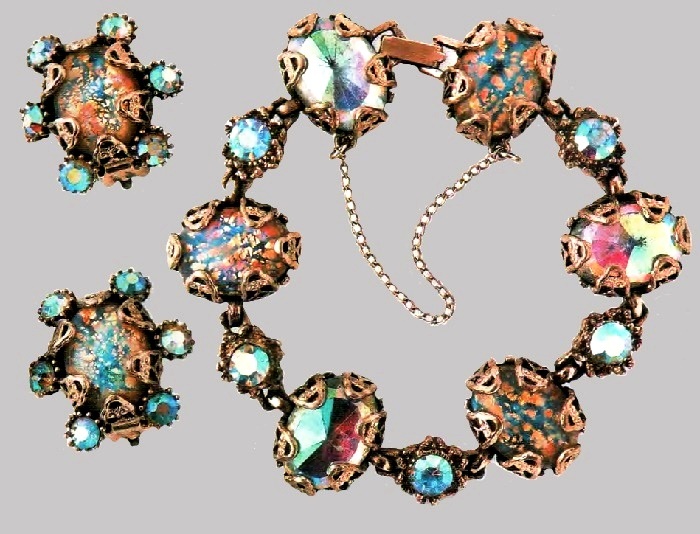 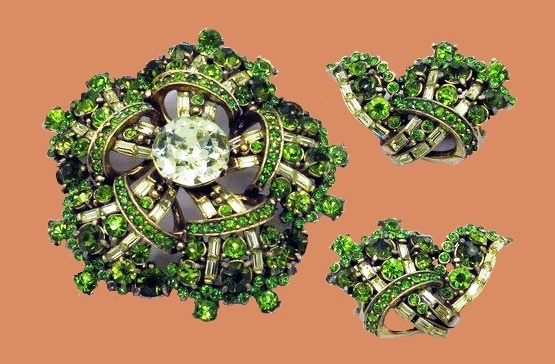 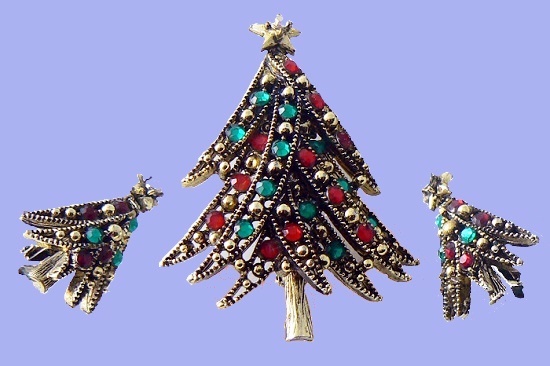 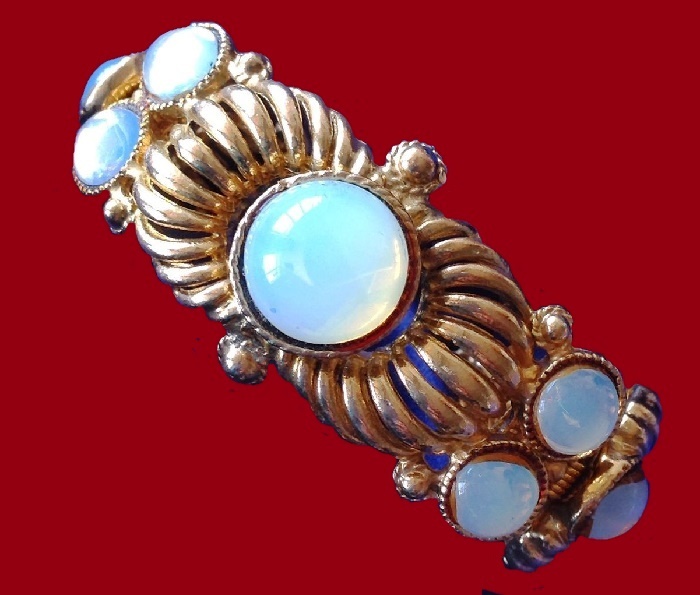 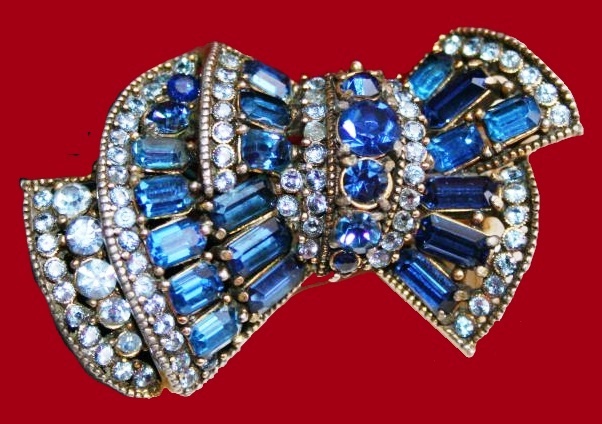 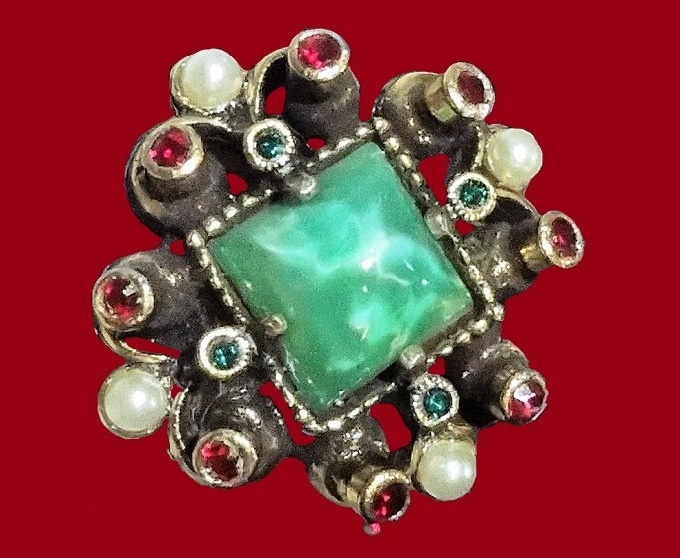 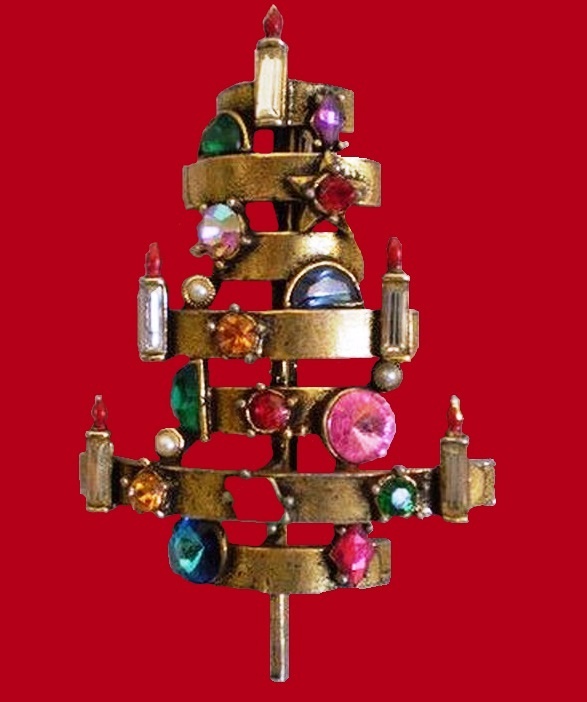 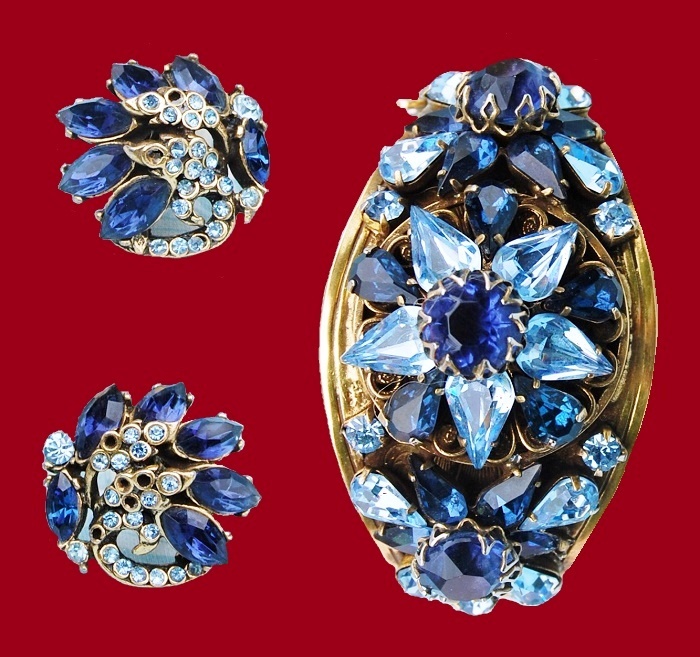 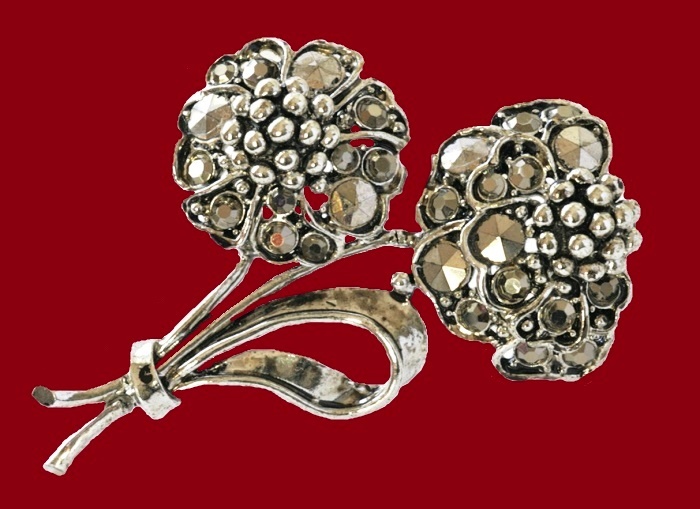 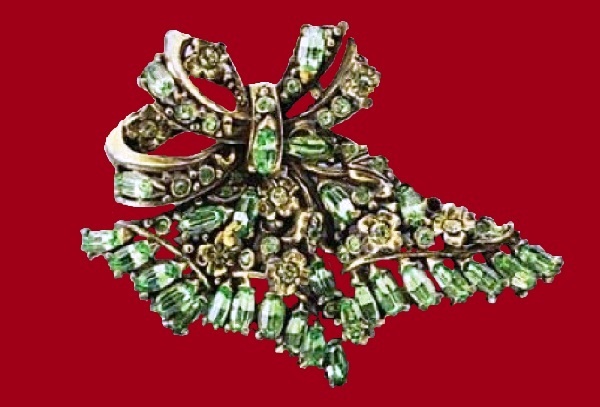 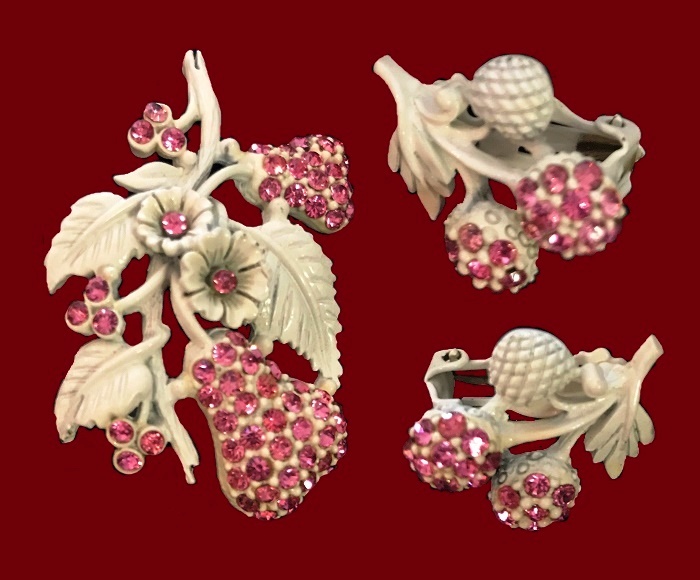 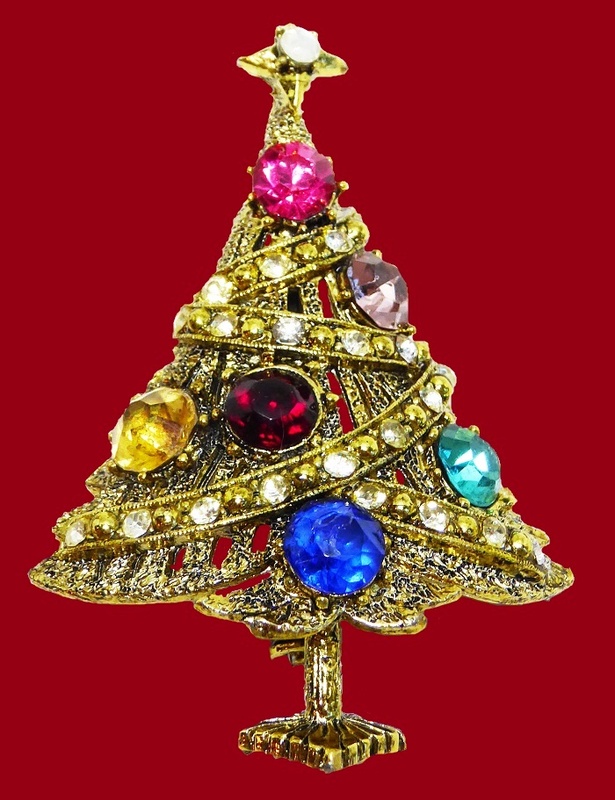 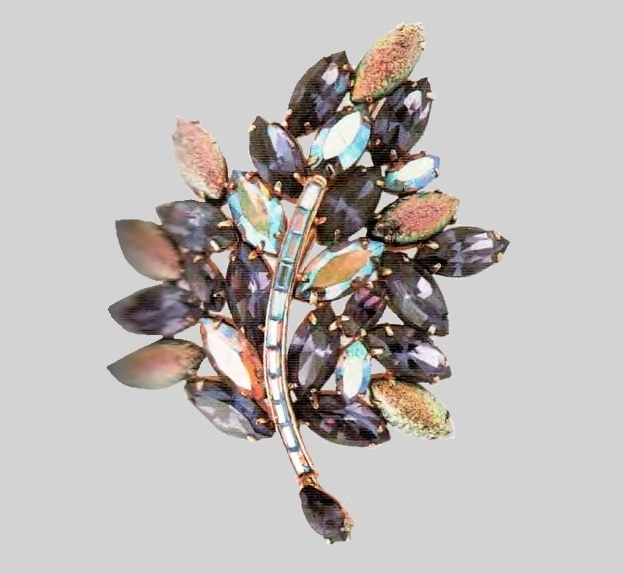 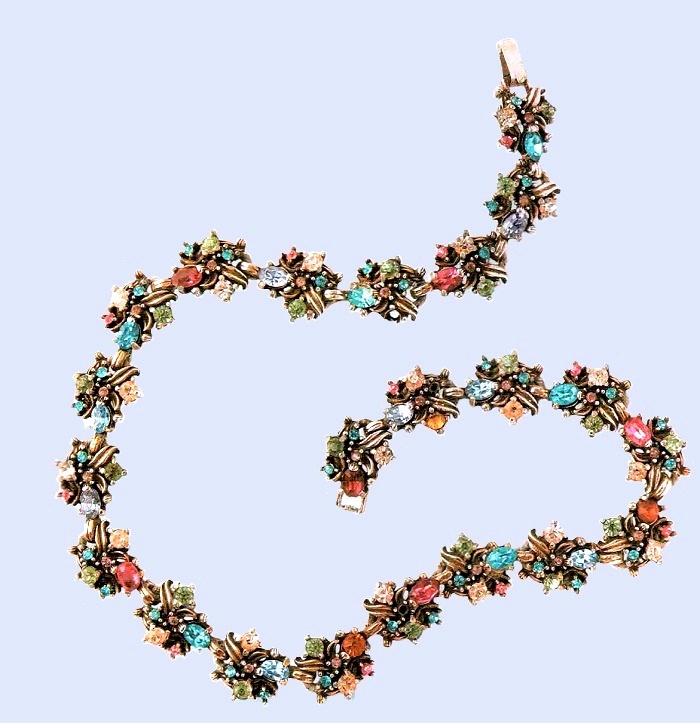 Collectors pay special attention to rare and original specimens, such as Christmas decorations, brooch-bouquets, as well as ornaments with rare materials – for example, foil cabochons and crystals. 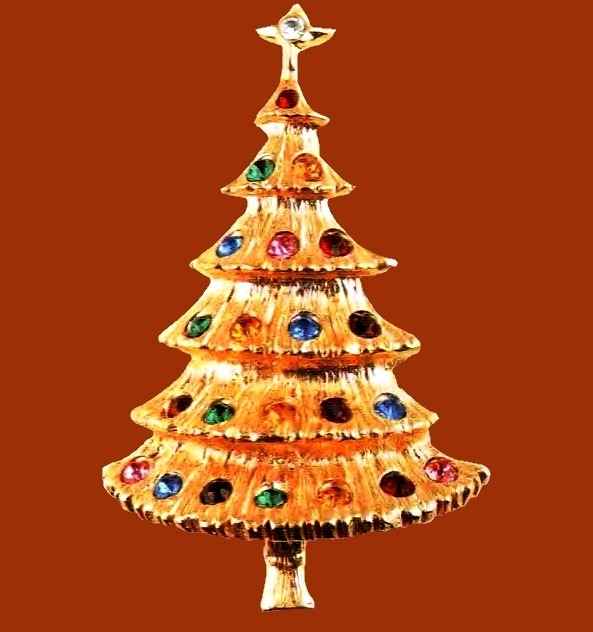 Besides, all Hollycarft decorations feature unusually exquisite color scheme, classical, but original, design and high quality. 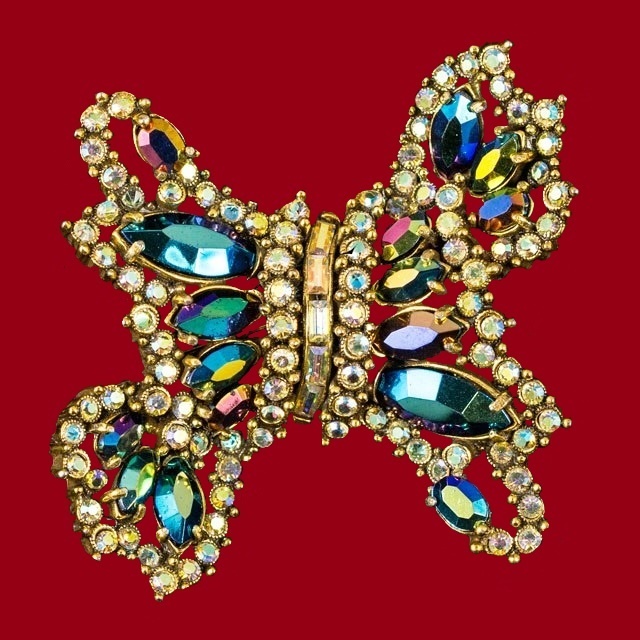 With all the brightness and expressiveness of the Hollycarft adornments, their distinctive features are intelligence and aristocracy.